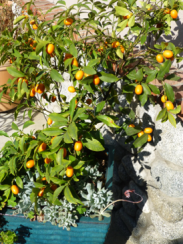 The adage says, “When life gives you lemons, make lemonade.” Sure, but what if life (actually a dwarf tree in our backyard) gives you kumquats? Why make vodka, of course. 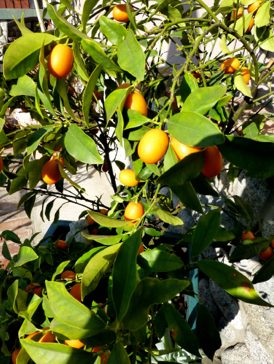 Near the end of February, Tracy and I picked as many kumquats as we could from that little tree and, over a martini, decided to attempt making a Kumquat Infused Vodka. The difficult part of this experiment was that we would have to wait a long, long time until this concoction came to fruition, and waiting is not my forte, but wait we did. See what the verdict is below. 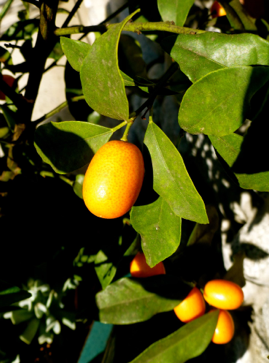 Wash the kumquats, discard the green twigs and cut the fruits into quarters or slices. 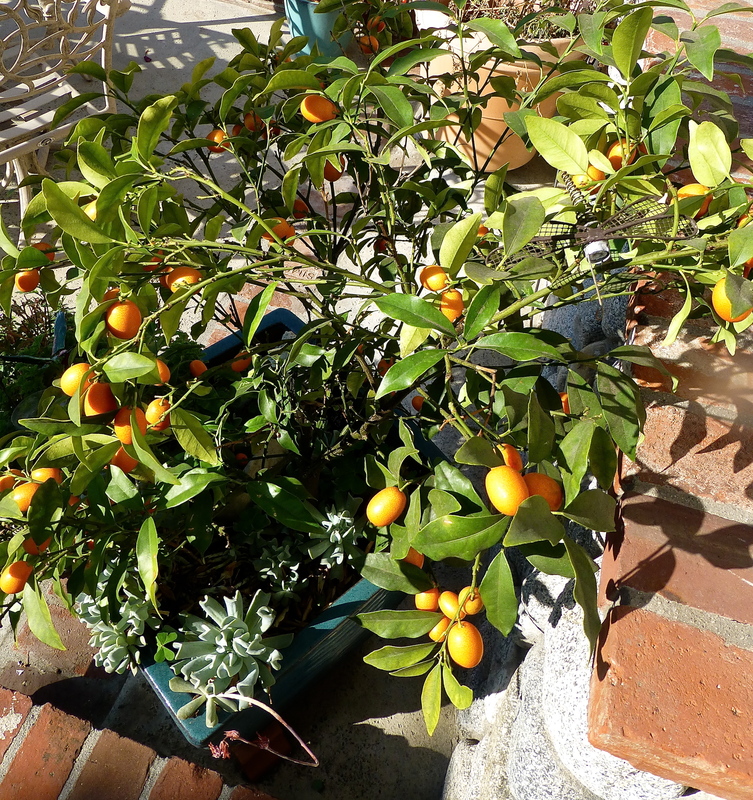 Put them in a big jar or wide-mouthed bottle and cover with the vodka. 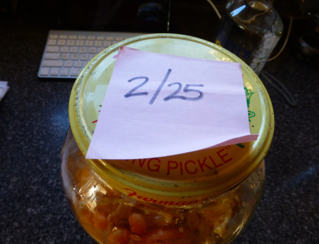 Leave the tightly closed jar at room temperature for a month. 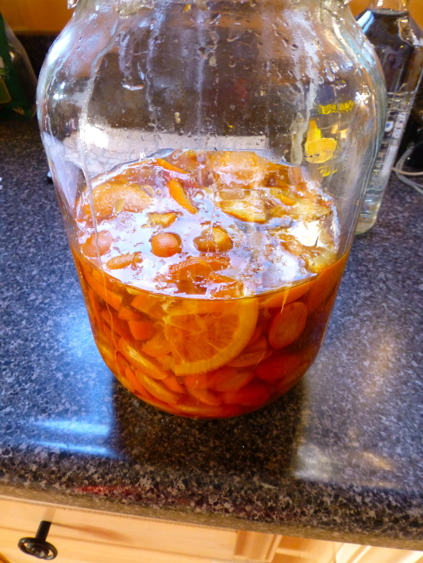 After a month, drain the fruit and reserve the infused alcohol in a closed jar or bottle. 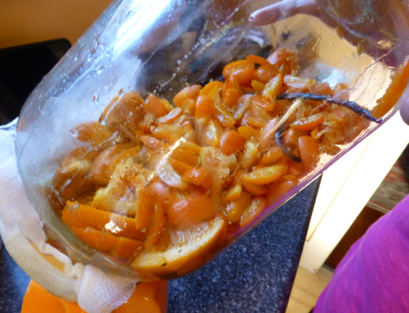 Put the fruits back into the jar and cover with the sugar. 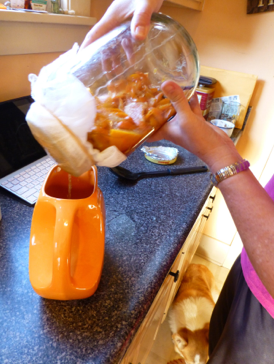 Shake the jar every day so that the sugar dissolves. 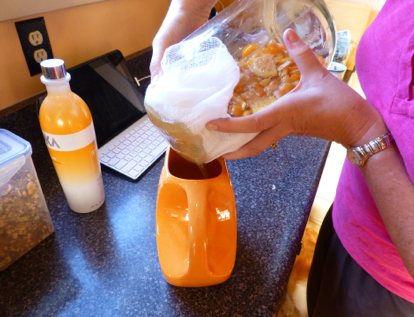 When the sugar has completely dissolved (after a couple of days), pour the reserved vodka over the fruit and syrup mixture and leave it to infuse once more for seven or more days. 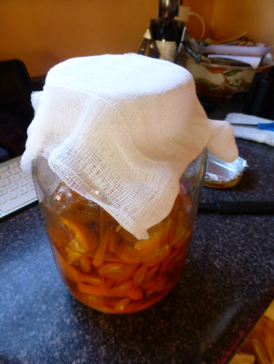 Afterward, filter it into a bottle (for example through a coffee paper filter or a piece of gauze plied in 4). 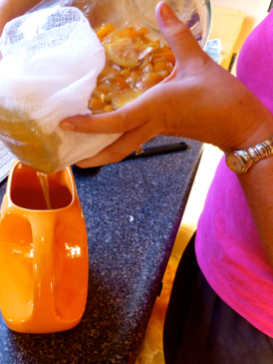 Coffee filters did not work – I used gauze. The vodka can be drunk straight away (which could also make you drunk straight away), but it improves with time, so taste it every month and observe the taste and aroma changes. 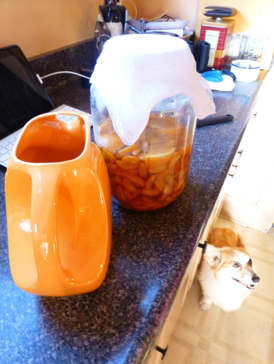 The final amount of vodka we got out of this was about 1 1/2 bottles (750 ml). We’re still sipping it a month later, and…yes…it does improve with age. Cheers!